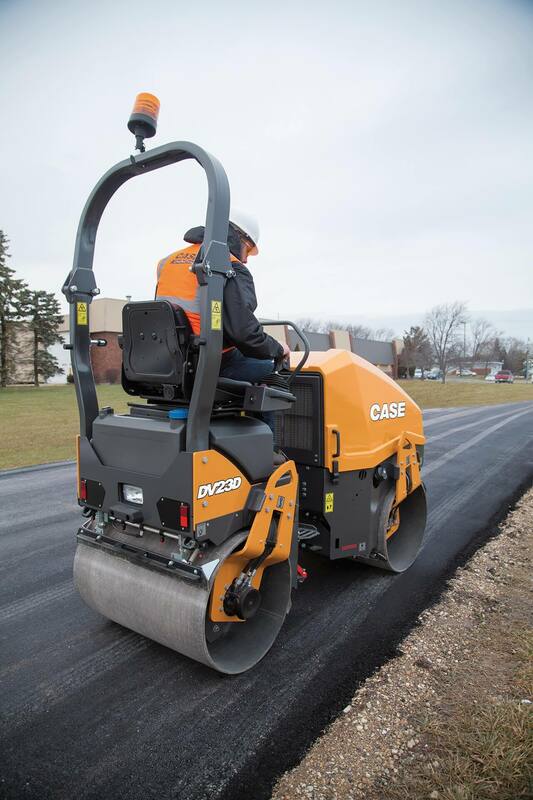 The DV23D comes standard with dual vibration control, as well as an auto vibration stop switch, providing smooth compaction during starts or stops and across a range of surface densities. 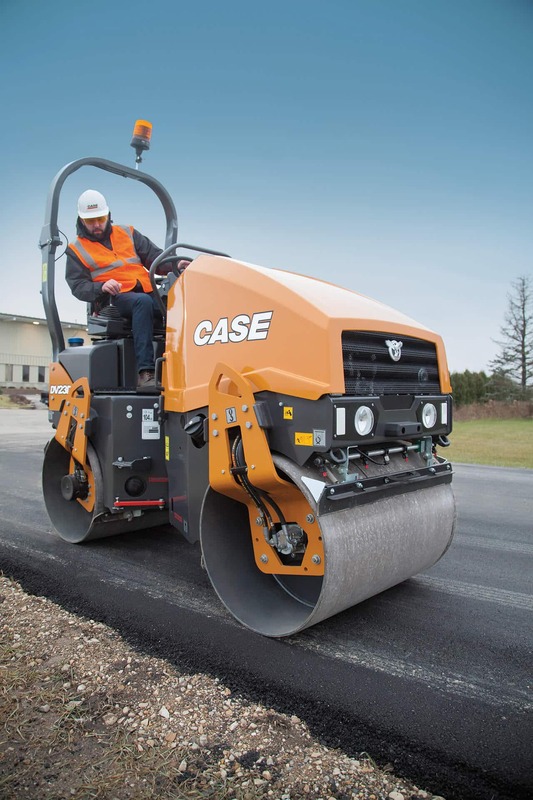 Its compact frame has no overhangs on the front, side or rear of the machine, letting you work alongside or up against curbs, buildings and obstacles. And with the hydraulically adjusted drum offset, there's greater maneuverability and reduced chance of tearing through turns. Also, unlike gravity-fed systems, the pressurized water system maintains consistent flow to all nozzles on hills or in wind, and has filtration at both the fill point and in the system to reduce the risk of clogs. The DV23D delivers fuel-efficient performance and meets Tier 4 Final emission standards while requiring minimal effort from the operator. With its DOC system (Diesel Oxidation Catalyst), there's no exhaust fluid to add and no regeneration necessary. 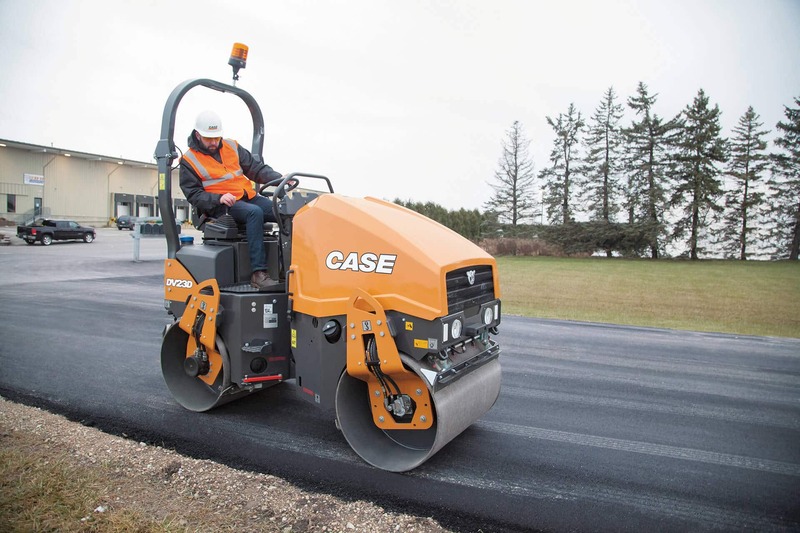 Thanks to a tapered, low-profile hood and a lateral-sliding suspension seat, operators can easily see around the machine and to all drum edges. The control lever is integrated into the seat structure and conveniently has vibration and sprinkler switches built into the joystick instead of the dashboard. 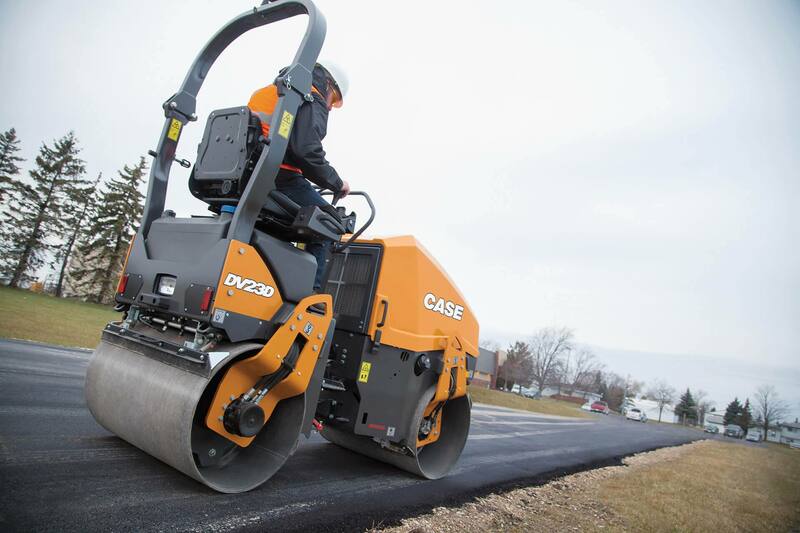 This gives operators full, responsive control without having to take their eyes off the pavement. 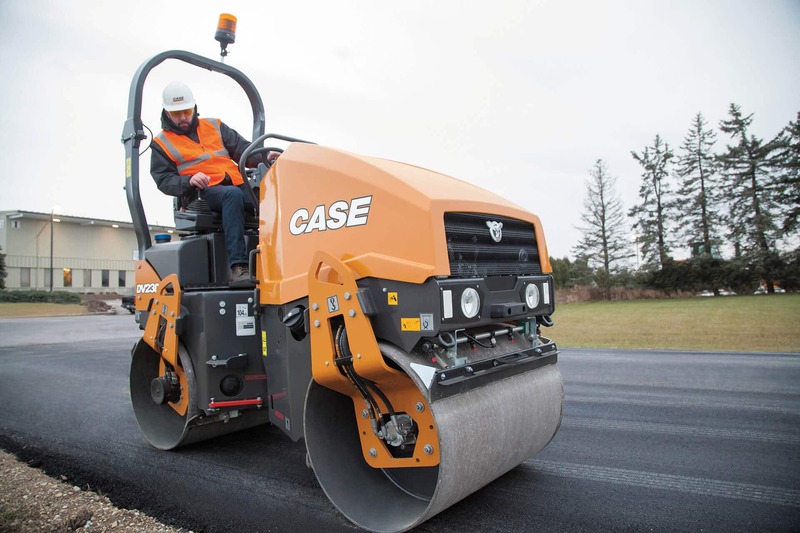 To minimize vibrations, the operator's platform is isolated from the chassis and mounted on heavy-duty shock absorbers. Additional comfort options include a weather canopy and heated seat.